Home > Departments > Faculty > Taner Akcam Ph.D. The Young Turks' Crime Against Humanity: The Armenian Genocide and Ethnic Cleansing in the Ottoman Empire. Princeton, NJ: Princeton University Press, 2012. 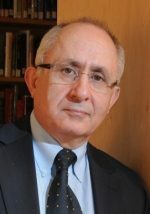 Judgment at Istanbul: The Armenian Genocide Trials, with Vahakn Dadrian. New York: Berghahn Books, 2011.